Ancient Delphi Meteora Monasteries tour is combining Ancient Greece with Byzantine Greece. The ruins of ancient Delphi and the famous Meteora Monasteries are the two samples of these great Greek periods. At the same time, you will see a big part of mainland Greece full of green and beautiful villages. Drive through the spectacular sites at the fertile plain of Boeotia, crossing the towns of Thebes, Levadia and arrive at Arachova. Then at the Delphi located on the slopes of the breathtaking Mount Parnassus. 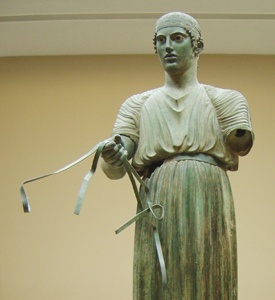 Delphi was the centre of Ancient World – the “Omphalos” (Navel of Earth) – whose prestige extended far beyond the boundaries of the Hellenic World. 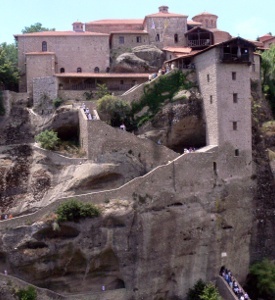 Meteora is one of the largest and most important complexes of Eastern Orthodox monasteries in Greece, second only to Mount Athos. Among striking scenery, perched on top of huge rocks which seem to be suspended in mid-air, stand ageless Monasteries, where you can see exquisite specimens of Byzantine art. 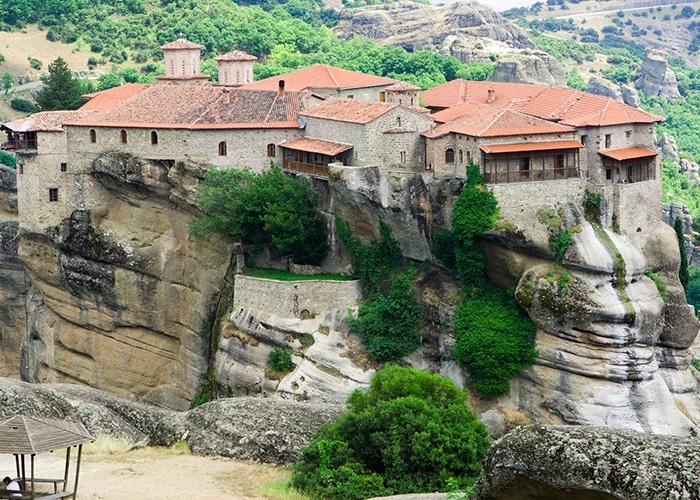 The Meteora is included on the UNESCO World Heritage List. Return to Athens via Trikala, Lamia, Thermopylae (visit the Leonida’s monument). Arrive in Athens early in the evening. Every Monday, Wednesday & Thursday.